These are the first ten headlines of articles that appeared when searching for ‘iraq + christians’on The Guardian newspaper homepage. The articles date from July 24 2014 to July 27th 2015. They are listed chronologically. Searched for and compiled on August 7th, 2015. Photo of my parents, my grandmothers, and two Iraqi nuns in the early 1980s in Mosul, Iraq. 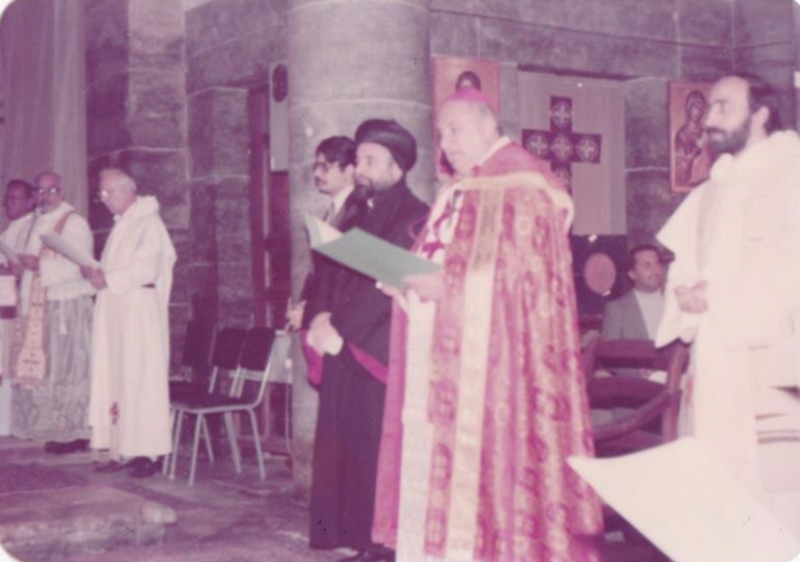 My father in a Christian service in Mosul, Iraq, early 1980s. In Lara Hannawi’s work she re-purposes existing text. One recent zine of hers is "Who Will Police the Police", about the murder of Walter Scott, explained by 50 New York Times reader comments. She has sold all 300 copies and is now printing a second edition. Most copies have been sold at City Lights Booksellers in SF.